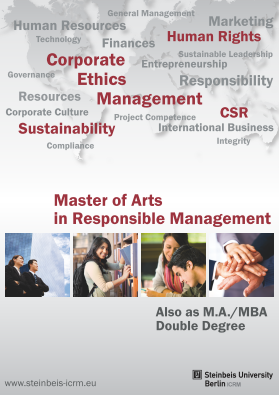 Steinbeis University Berlin – Institute Corporate Responsibility Management (ICRM) aims at reaching to more individuals internationally for its Master’s Program M.A. in Responsible Management. GIG provides ICRM with analysis and implementation services ranging from Scanning to Promoting. Do you think ICRM might be a strategic partner for your organization? Do you search for a similar advisory help? Contact GIG to be part of the network and grow your impact-based business.